The new Bear 100 course was incredibly beautiful, just as expected (at least the part I saw). It was supposedly 95% new, and I was immediately interested as this is a great fall run, going from Logan to Bear Lake. The Bear is race I do for fun, which makes it a really relaxed atmosphere for me. I had a great time the first 46 miles, which I ran mostly by myself with the exception of a bit with Nate McDowell, Ty Draney, and Erik Storheim. 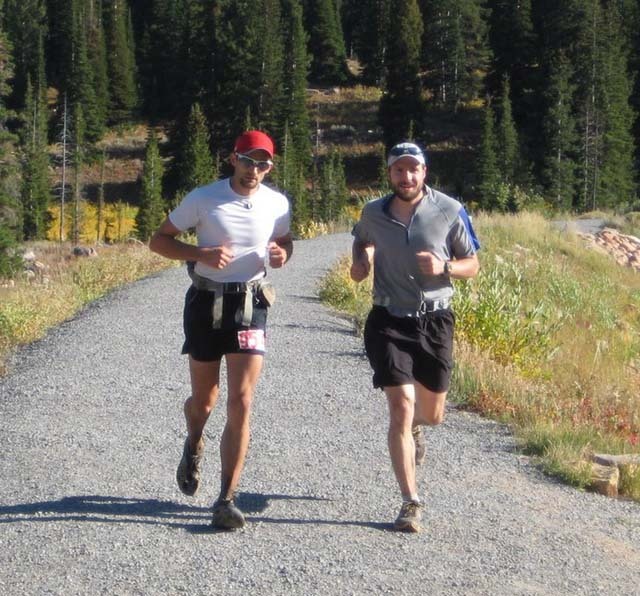 After this point, my friend Tim Rude picked me up and went to mile 76, where I ultimately stopped. My stomach was excellent and I ate well the entire race. Overall I felt pretty good, but by about mile 70 a past anterior tibialis injury changed from annoying/dull to sharp/deep. As we hit the road at mile 75 we took a wrong turn and got lost for nearly an hour as the temperature dropped to 33 degrees. I entered the aid station and aside from being cold I felt very alert and surprisingly good overall, except my newly sharp injury. Oddly I just decided I was done. I think everyone was baffled by me dropping out given how happy I appeared. I had had so much fun up to this point, the thought of the next 25 miles would have destroyed the whole thing for me. In Leadville 2006 I crawled the last 25 with the exact same injury and it sucked. I didn’t want to do it again. So, I called it good there. I received was I was after already… A beautiful, quiet, and humble run in spectacular fall colors. So, we packed up and drove home that night. Kind of a strange decision and experience, but I feel pretty good about it. Mindy and my sister Heather were my excellent crew and Tim was great as a pacer. It was a beautiful experience despite not crossing the finish line. Pictures here.